May 29th, 2015. 40 years ago from today during the Vietnam War we had Operation Frequent Wind: The U.S. begins to evacuate US citizens from Saigon prior to an expected North Vietnamese takeover. U.S. involvement in the war comes to an end. 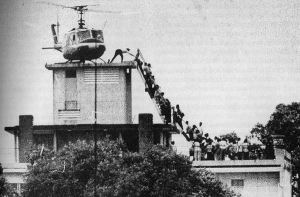 This picture is of South Vietnamese civilians scrambling to board a CIA helicopter during the evacuation of the US embassy in Saigon! Amazing how we look to find history all around us but forget that there was a ton happening years ago each very day! Spend some time looking at news events from not just today but years ago! April 15th was a week ago from today. 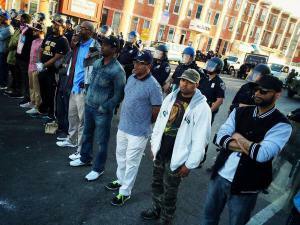 That day is significantly valued higher in Major League Baseball and a triumph in the african-american community. What makes April 15th so significant? April 15 was Opening Day in 1947, Jackie Robinson’s first season in the Major Leagues. His debut with the Brooklyn Dodgers (today known as the Los Angeles Dodgers) ended approximately eighty years of baseball segregation, also known as the baseball color line, or color barrier. On that one day, all players, coaches, and managers on both teams, and the umpires, wear #42 on their jerseys to celebrate Jackie Robinson and his contribution to both baseball and our country in general. I listen to this deep house style of music and I found that Bakermat took his style along with MLK’s famous “I have a Dream” speech and produced this song. I love how he is able to take this beautiful speech on love and equal rights and turn it into music. It’s history mixed with present music. 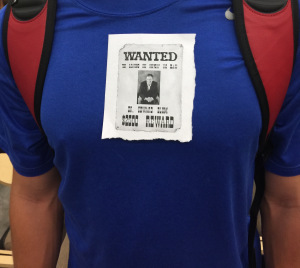 …and he ain’t coming back. “Monty” Montezuma. 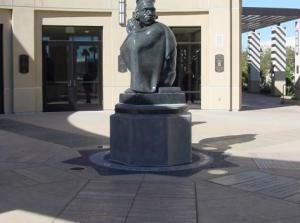 The stone base was presented as a gift to the school by the class of 1937. In fact, Hord’s Aztec was so admired that in 1941 it was removed from the northeast corner of the quad and shipped to New York for an exhibition at the Museum of Modern Art. Today, artists still appreciate the statue. My thesis statement is-Pete Rose was a legend in the game of baseball but was banned from it in 1989 for illegal gambling. Because of the life-time ban, one of the greatest players of all time will not join the great ranks in the Hall of Fame. 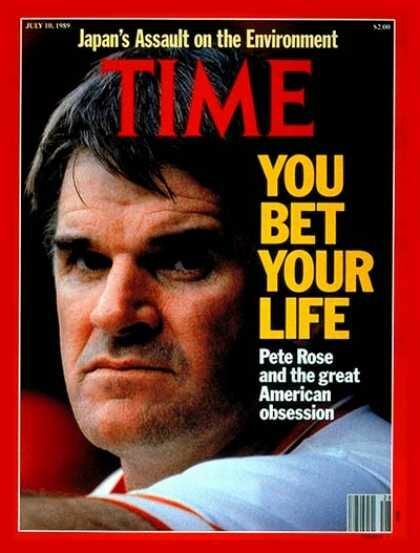 Pete Rose’s life-time ban should be lifted and allow him to be inducted in the Hall of Fame because the evidence against him was not substantial, his statistics are more than worthy, and his crime is less to that of some other inductees. Walking to class I noticed this on the wall of one of our halls. 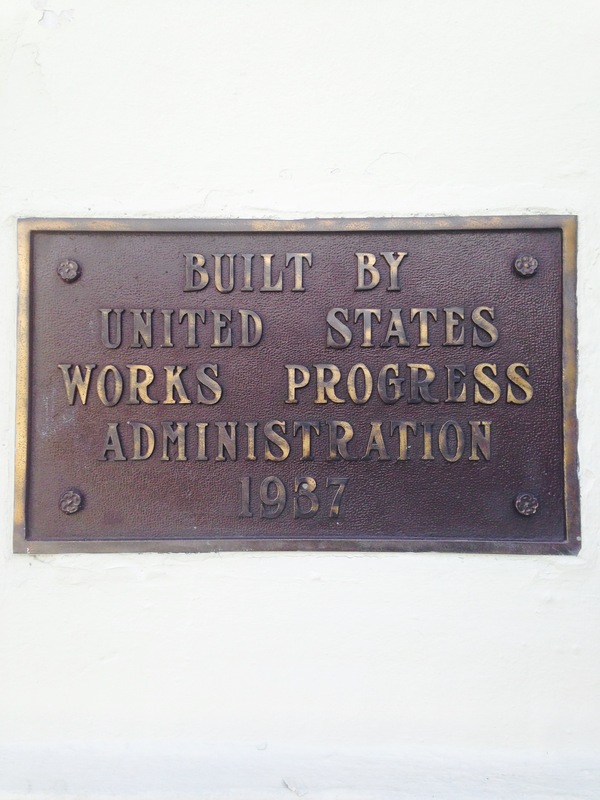 83 years ago this was built by the United States Works Progress Administration. Later renamed the Works Progress Administration or the WPA it was the largest and most ambitious American New Deal agency, employing millions of unemployed people (mostly unskilled men) to carry out public works projects, including the construction of public buildings and roads. Pretty unbelievable if you ask me. Every day I am constantly “haunted by history” by the things and places around me. I took this photo on a trip to Cooperstown, New York almost 7 years ago and it is amazing to think I would be playing for him now. He is no longer with us but his accomplishments and ideals are still with us. 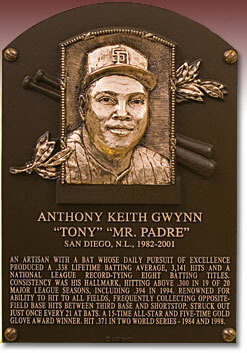 The plaque reads all of Mr. Padre’s stats and accomplishments throughout his baseball career. It’s like Professor Blum said about a baseball card, however in this case only a very select few have a Hall of Fame plaque. It’s a timeline of history and of the 19 years of baseball Tony Gwynn played.